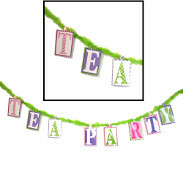 Get all of the party supplies you need to have a great Alice in Wonderland themed tea party at your next gathering. We carry all sorts of different items so you can give away great gifts and put up awesome themed decorations for your guests. Shop through our stunning selection of Alice in Wonderland and Mad Hatter party supplies and favors for your upcoming tea party or themed celebration! You can transform any celebration with these awesome products! They will help you spice up the decorations and find awesome favors for everyone to enjoy. From the Mad Hatter and other characters to tea cup sets and giant playing cards, you should be able to find absolutely everything you need right here. 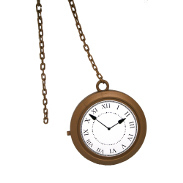 We even have great costume accessories for anyone to dress the part of Alice and make sure they are perfectly prepared to be in the Wonderland. Our inventory of Alice in Wonderland party supplies includes great tiaras and fairy princess wands amongst other fun costume accessories. 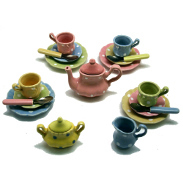 Use these great goods and recreate the famous tea party scene to spark and inspire the imagination of your guests. All of these supplies are built to last and ready to be worn for any event that you decide to hold or attend in the future. 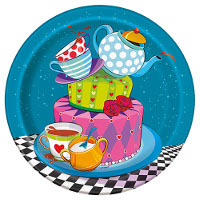 We even have colorful paper plates and other tableware as well as life-sized standups to complete the Alice in Wonderland d�cor and enhance authenticity. We are here to help you complete your Alice in Wonderland themed gathering with great party supplies. There are great accessories and decorations that can be used to establish the life of the party and other favors and toys that can be used as prizes or put into gift bags for your special guests to take home and treasure. You should be able to find everything you need for your upcoming event here on our site!